These are the 18 Best Outdoor Adventures in The Americas as nominated by travel writers from all over the world. If you like adventure activities and a rush of adrenaline, then these ideas will point you in the right direction. The Americas is so diverse, but I decided to include North America, South America, Central America and the Caribbean all under to one area of the Best Outdoor Adventures in The Americas. I mountain-biked down La Carretera de los Yungas (or “Death Road”), a 69-kilometre gravel dirt track that connects Coroico, in the Amazon Rainforest region of Bolivia to the country’s largest city, La Paz. The ‘road’ is only 3.2 metres wide, featuring a sheer vertical rock face on one side and an unobstructed 600-metre drop on the other. The experience required an immense amount of focus and concentration, was frightening in parts but also incredibly exhilarating, exciting, challenging, and rewarding. I’m so glad I was brave enough to have been able to tick it off my bucket list. The Caraca Nature Reserve in Minas Gerais in Brasil is a 30,000 acre biosphere for nature lovers who need a break from the hectic pace of Brasil’s big cities. There are hiking trails for all abilities from the easy paved trails to the ones for which you are required to hire a guide. The trails lead to fantastic views, lots of flora and fauna and the occasional waterfall or beach. You are left in awe of the beauty of the Brasilian countryside. The only place to stay in the Nature Reserve is the old Caraca Monastery. When the monastery suffered a devastating fire in the 1960s, the monastery turned its property into a pousada and nature reserve with the help of the Brasilian government to stay afloat. Furnishings and food are simple but good and there are still monks who live in the monastery. Although the monastery is famous for having wolves who come to its front door to feed at night, we did not see any the nights we stayed there. One of my favorite outdoor adventures was ziplining through the cloud forests in Mindo, Ecuador. Mindo was the perfect adventure-filled day trip from Quito and not only did I get to zipline through forested mountains tops, but I also tubed down Rio Mindo where a guide skillfully shoved my tube past tons of jagged rocks. I ziplined 13 different cables and with only gloves over my hands to act as brakes, each trip across the canopy was a mini adventure. I’ll never forget the feeling of ziplining upside and losing all control. When I finally landed safely on the other side, I laughed so hard. I swore never to do it again but secretly, I would jump at the opportunity! The tiny oasis town of Huacachina in Peru is becoming a bit of a backpackers paradise and the main attraction on offer is sandboarding. The dunes here are the biggest in South America so you can’t afford to miss out! 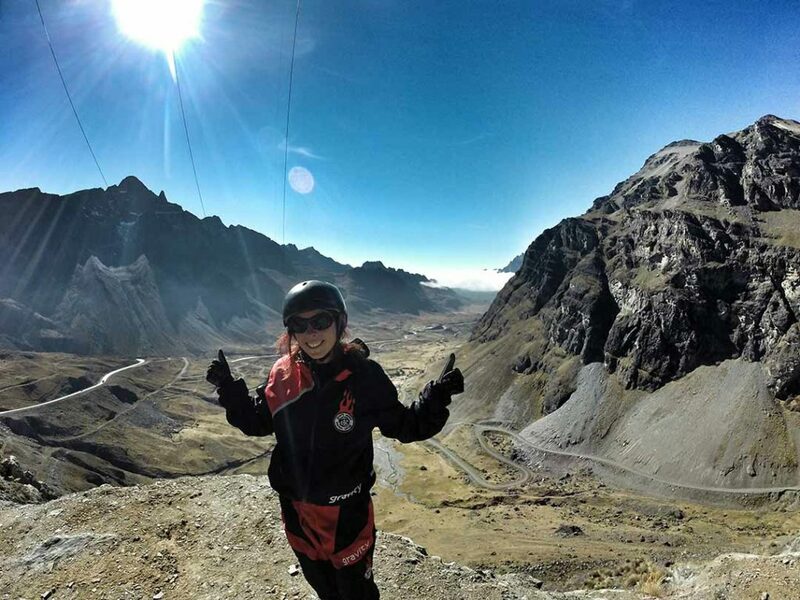 When sandboarding in Peru you’ll actually be treated to two outdoor adventures. First, comes dune bashing where you’ll be driven into the heart of the dunes by a crazy driver. Hold on tight as you zoom up the dunes and then down the other side; it really is like an extended roller coaster ride. When you arrive at the first dune (a small on to begin with) you’ll be given a few tips on how to stand up on the board. If you’re used to board related sports, go for it. If you’re not then I recommend forgetting standing up and opting for going down on your stomach. It’s way more fun that tumbling over in the sand as you try to stand! Torres del Paine National Park in southern Chile is a wonderland for outdoor enthusiasts and is consistently regarded as one of the most beautiful hiking destinations in the world. This past January, I chose to hike the park’s W trek—a five day hike along a w-shaped trail that passes through some of Patagonia’s most awe-inspiring landscapes. Notable highlights along the trek include Glacier Grey, the French Valley and the iconic granite towers of Torres. The trail affords dramatic views of Patagonia’s windswept valleys, its thundering glaciers and its jagged mountain peaks. 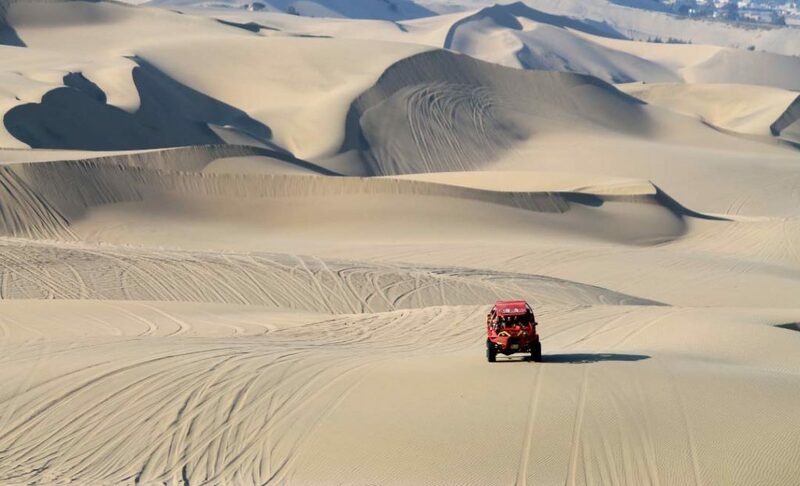 Across the waves of white sand, our dune buggy made its way into the highest dunes of Huacachina desert. Up, down and around we went, the driving was deemed “crazy” but it was real fun. At the top of the sand dunes, we geared ourselves with nothing but a board, left our fears and slid all the way down. 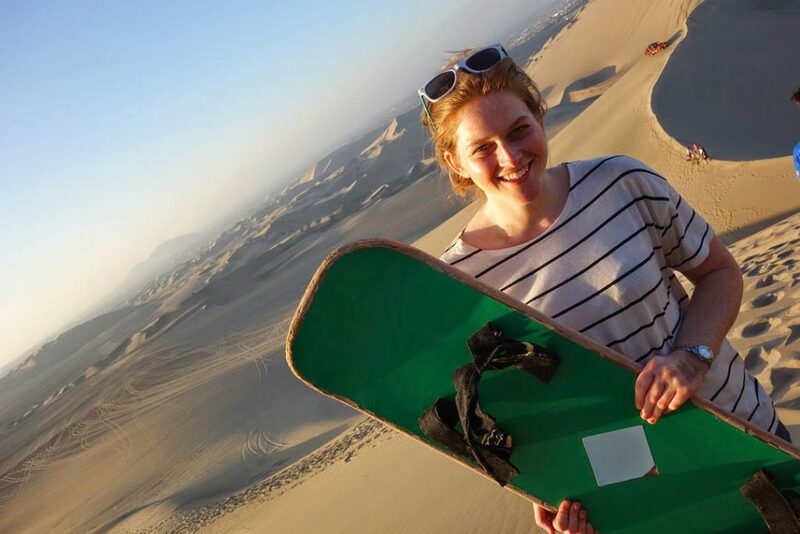 Sandboarding was scary at first but after a while it was “just another sand dune.” If you find yourself in northern Peru, make sure to visit Huacachina and experience what this desert can offer. If you like nature and adrenaline pumping adventure you will love Semuc Champey and the KAN’BA Caves in Guatemala! Getting there is an adventure in itself as you first must get to the mountain town of Lanquin via an 8 hour van from Antigua. From there you will be herded onto a pick up truck and will ride the rough roads to Semuc Champey. It will all be worth it though once you see what’s in store. You will spend almost two hours caving by candlelight in the KAN’BA caves. 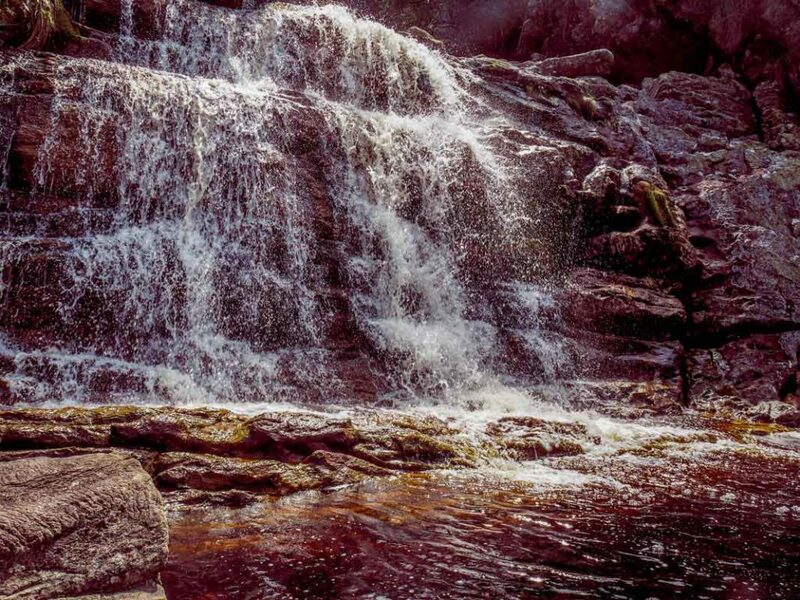 The water in the caves is chest deep and you’ll have the chance to climb waterfalls and jump into black pools below. 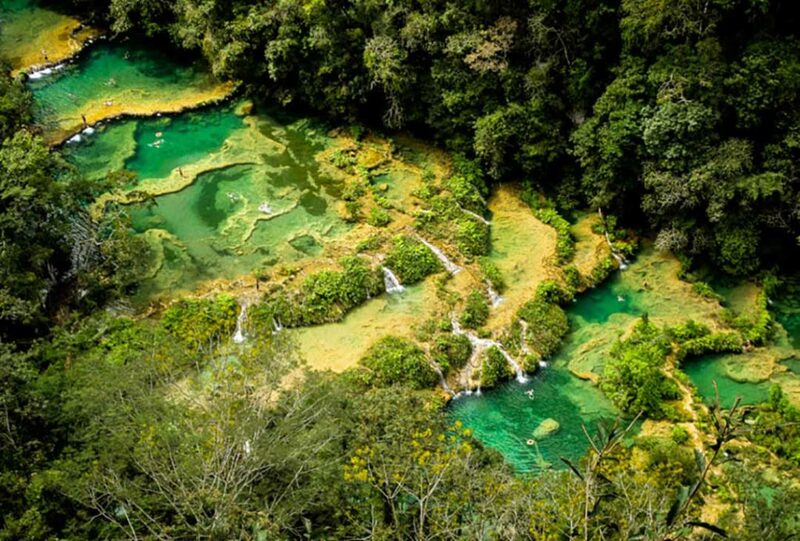 Then as you emerge back into the sunlight you will swim in the stepped, turquoise pools of Semuc Champey and slide on the natural limestone waterslides. Our favorite outdoor adventure is snorkeling! We’re certified divers, but enjoy the freedom and flexibility of getting close to the animals as they come in close to shore to feed. Our favorite place to snorkel is at Mexico’s Akumal Bay. 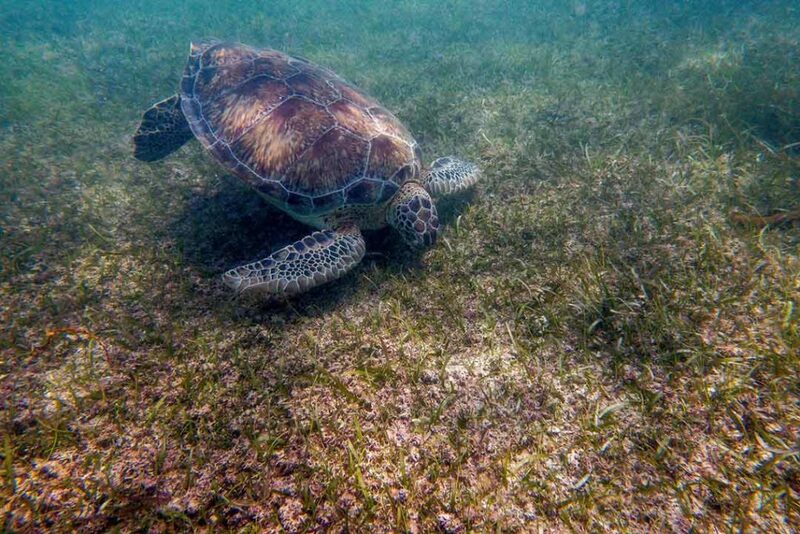 Here you can get close to green sea turtles and it’s completely free! Just grab your mask and fins and jump in. Slipping beneath the waves is an adventure, slipping beneath the water and under the earth itself is an adventure beyond belief. Mexico’s Yucatan Peninsula is a mecca for cavern and cave divers. Situated in the juggles near the Mayan ruins of Tulum are the world’s six longest underwater cave systems. 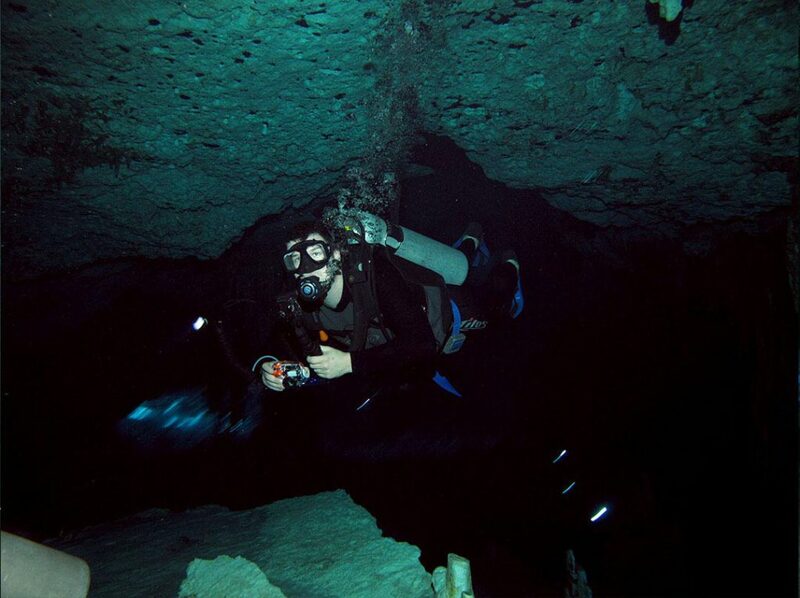 Although many of the dives require a cave diving certification to enter, a few, like the Dos Ojos Cenote dive are available via guided dive to those with an open water certification. One of my top Vancouver tips is to visit Stanley Park. 405-hectares of public space, a couple of beaches, and lots beautiful people! 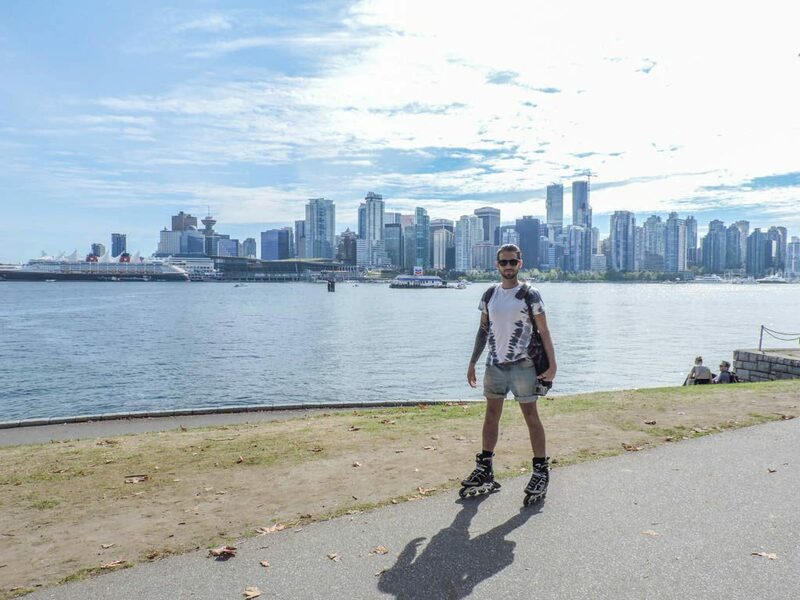 There are a variety of ways to get around Stanley Park – bus, foot, bike, or my preference – rollerblading! Craig and I hired skates for our third anniversary and skooted around Vancouver’s Seawall, taking in the fresh air and getting some exercise – winning combo! When I went to Jamaica last year with my aunt, we knew we had to do some proper exploring despite being treated to an all-inclusive resort. But what to do with all the options available? We settled on the one activity we knew absolutely nothing about: river boarding. Ever heard of it? We hadn’t either, and arrived totally clueless. We were fitted with helmets, knee pads, elbow pads, and gloves. This is going to be intense, we started thinking. 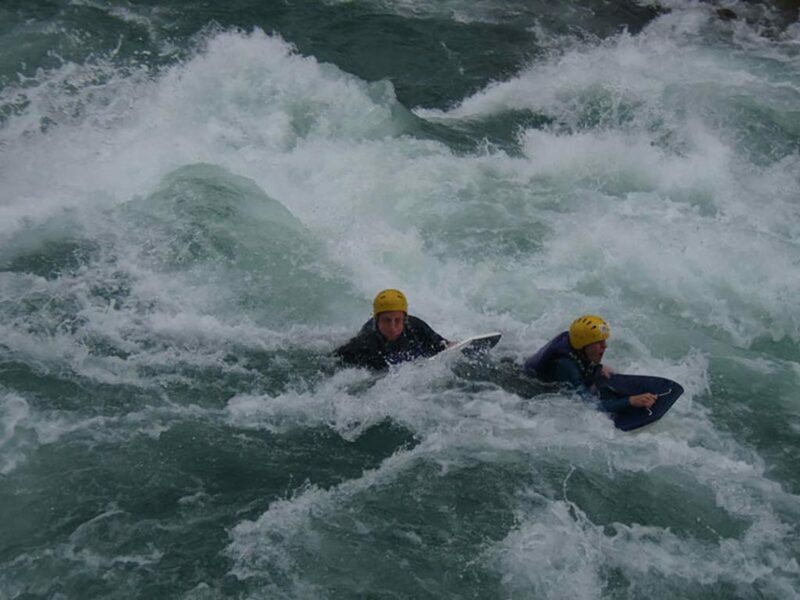 They then placed us on a sort of boogie board, and off we went down the rapids! It only took a minute to realise our feet should NOT be dangling in the water – hello rocks. 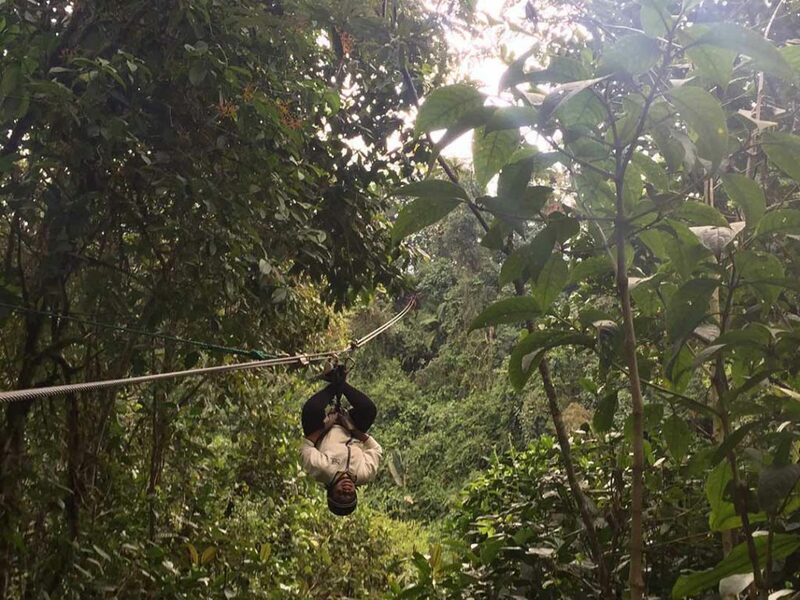 It was such a fun and unique experience – albeit a tad dangerous, but when in Jamaica! I signed up at the Adventure Center at the Frenchman’s Reef & Morning Star Marriott Beach Resort in St. Thomas, US Virgin Islands, while I was visiting for my niece’s wedding. The instructor Katie teaches SUP YOGA VI at 9:00 a.m. at the Cove beach. SUP YOGA Stands for Stand Up Paddle board yoga. You paddle out on the water to nine feet and then do yoga on boards. 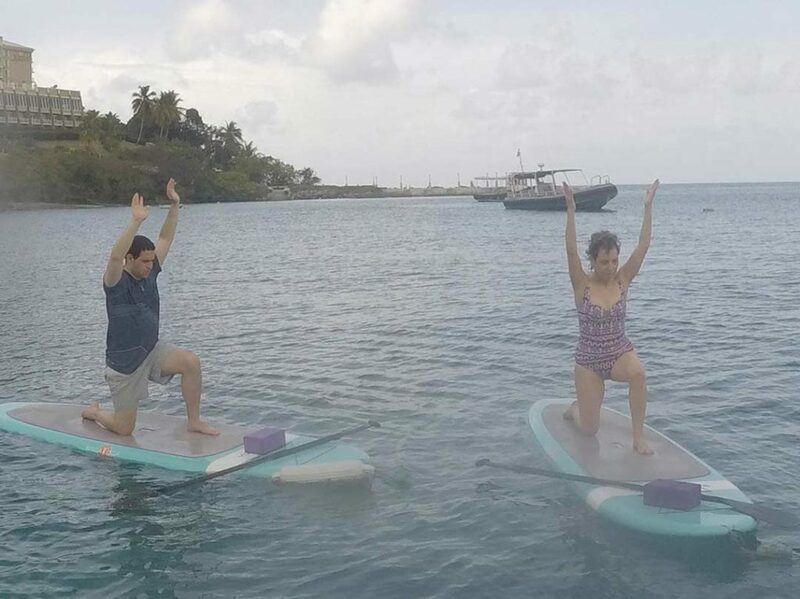 It’s an amazing experience and very beautiful doing yoga on the water. 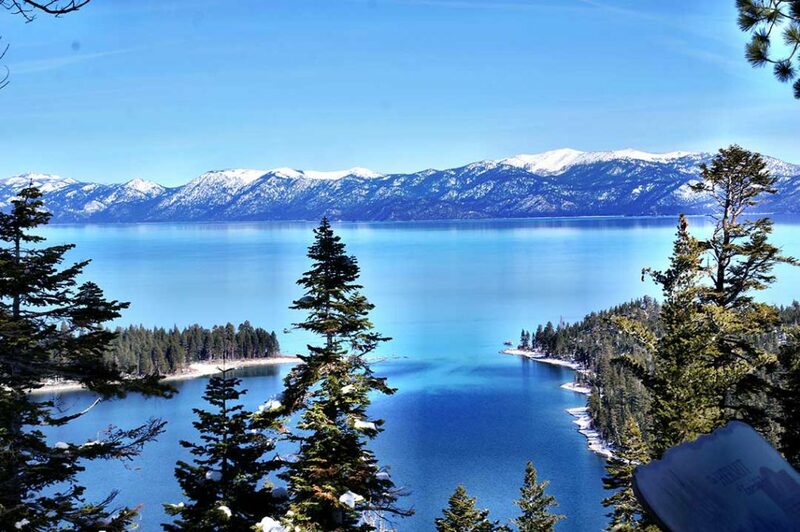 Straddling the Nevada and California border you’ll find Lake Tahoe. I’m not a skier or snowboarder but still love hanging out in the mountains during the winter. So I gave snowshoeing a try and fell in love! Hiking along trails, or not, is a great way to explore the lake whether you’re hiking over Emerald Bay (pictured) or to watch the sunset over the lake. 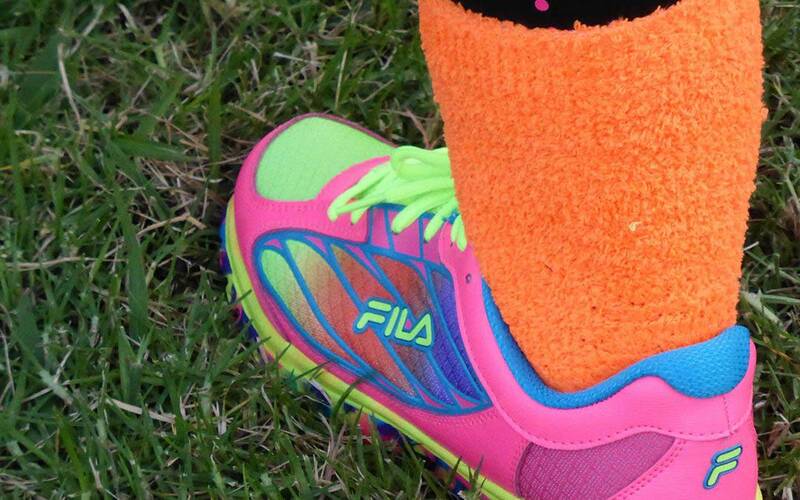 Honestly, whether it’s Winter, Spring, Summer or Fall you can find countless outdoor activities. You may need you log splitter to get the fires burning to keep you warm at home after this. 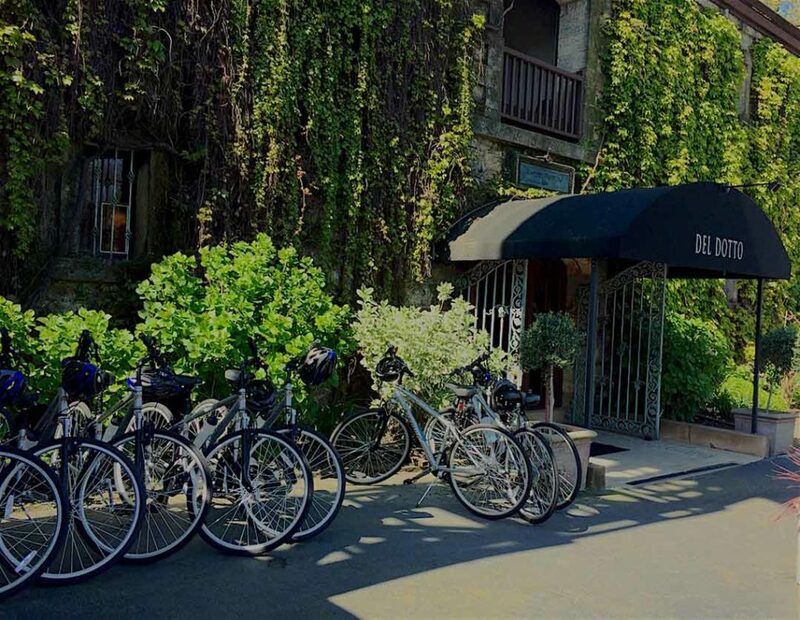 Biking to a vineyard in Napa Valley might seem relatively tame compared to some outdoor activities; it all depends on how you define adventure. For me an adventure is anything that I find interesting enough to do with passion, even if it’s something I do over and over again. Or doing anything that feels just a little uncomfortable can turn into a great adventure. When I was offered the opportunity to bike to a vineyard with Enjoy Napa Valley (a company that takes people on biking and kayak adventures) I said yes, even though I had not been on a bicycle in twenty years. Of course everyone says you never forget how to ride a bicycle and I now know that’s mostly true; you do have to get used it again though. Biking is a great way to experience the countryside and once you get some endorphins going you enjoy it that much more. Like most everything I do I embraced it full on and had a great time. I do have one tip for you if you’re like me and don’t really ride – get some of those padded bike shorts. 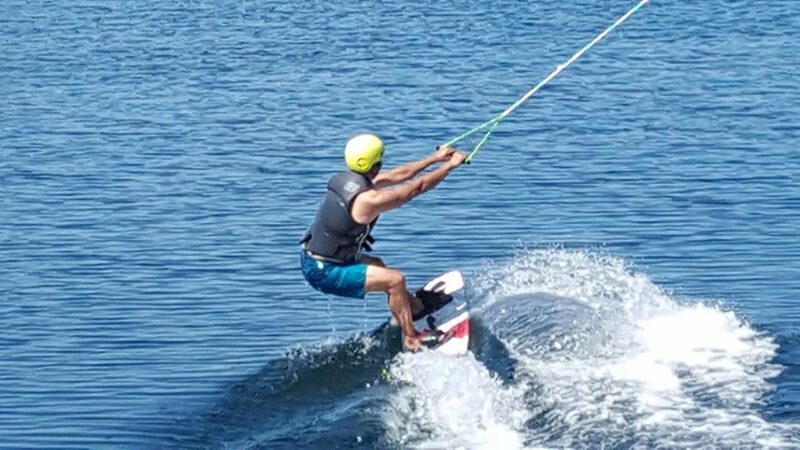 I never thought that I would be able to experience wake boarding on Marathon Island in the Florida Keys especially with my absolute failure of doing any water skiing activity. Surprisingly, I was still game to try this experience, which is done supervised, and on a cable pull system that is easy to adjust to the level of experience. I started badly and drank a lot of salt water at the start, but observing other skiers and listing to the tips suggested gave me a better outlook and I did a lot better in my next few rounds wake boarding. Who’s to say that you can’t teach an old dog some new tricks while exploring a fantastic area in the Florida Keys? Here’s some fun activities I did while exploring Islamorada in the Keys. You might not think of Palm Beach as an adventure playground, but just outside the city you’ll find Florida eco-tourism alive and well at the John D. MacArthur State Park. Comprised of 438 acres, including 2 miles of pristine beaches, the area is home to a subtropical paradise. Trails lead to swimming, snorkeling or diving, but my favorite outdoor activity is the kayaking. 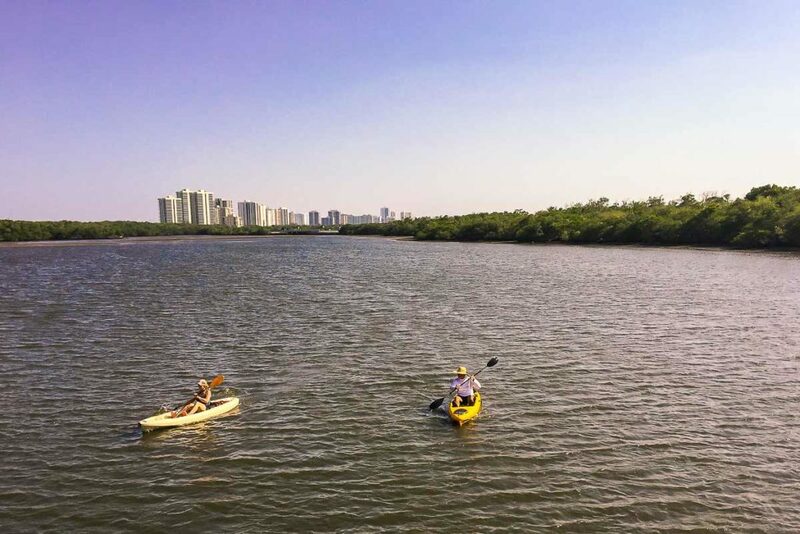 Paddling along the mangroves, with high rises looming in the background almost seems surreal as egrets and manatees can be seen in abundance close by. 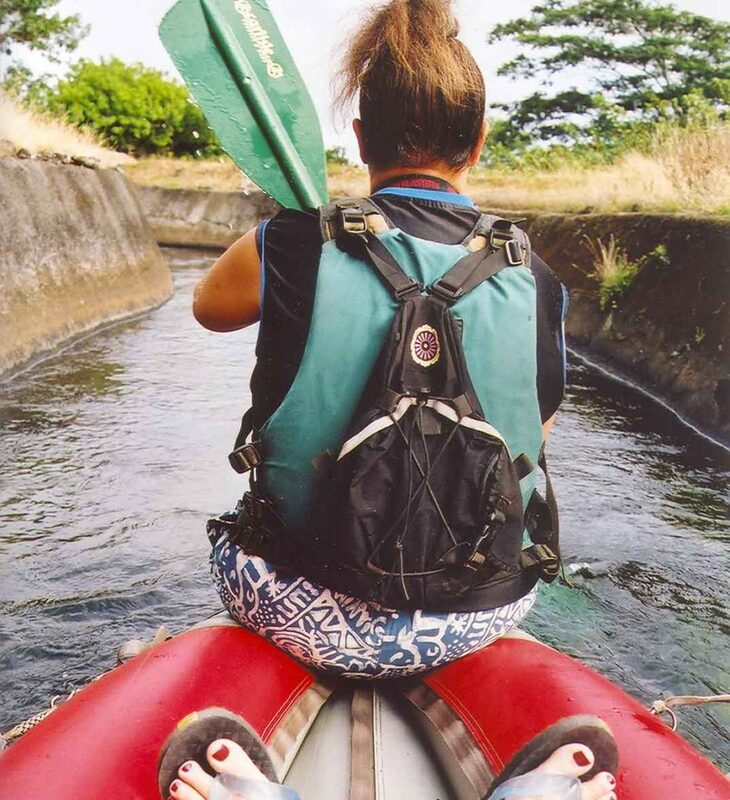 Tubing in Kauai has to be one of the most unusual soft adventure activities I’ve done. The adventure takes place floating through old water ditches once used for irrigating the former sugarcane fields. Locals call it “flumin’ da ditch.” It is fun for all ages, and you don’t have to know how to swim–the ditches are shallow. A similar trip once existed on the Big Island, where I believe the activity originated, but an earthquake shook that one up. Riding around on a gas powered skateboard in the middle of the dessert is how I roll once a year, at the Burning Man festival in Black Rock City, Nevada, USA. Proud to call myself a Burner, I am one small part of this creative and temporary community made up of 75,000 radically self reliant people.Burning Man is a combination of people from every walk of life, of who live together on the salt flats of Nevada for one week every year. The city exists for one week only, and after “The Burn,” it magically disappears as if it never existed. These are 18 Best Outdoor Adventures in The Americas, that our travel writers have nominated. Flumin’ da ditch is the adventure that appeals to me the most — probably because it looks extremely tame and, unlike how I imagine myself doing SUP Yoga, there seems to be only a slim chance of me making a fool of myself by falling in the water. 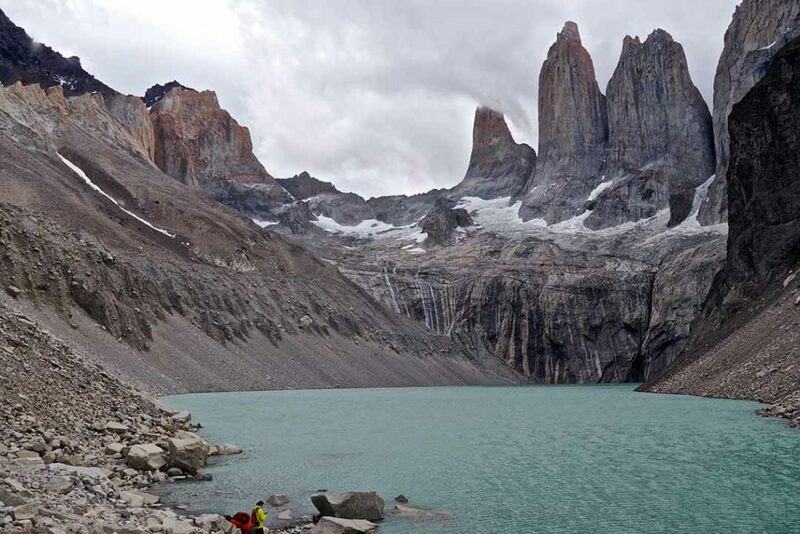 I’d really like to do that Torres del Paine hike, though. Looks so beautiful. I probably err on the side of conservative also, except for skiing. The hike looks amazing. I’d add hiking in New Hampshire of course:) I’d like to try paragliding in Utah and a backpack in the Grand Canyon. Hiking for sure, we loved New Hampshire. Paragliding ..not for me, but for others definitely. Of all these activities listed here, I’d love to visit the caves at Semuc Champey, in Gautemala. The rest don’t seem too exciting for me, except perhaps kayaking. As for SUP yoga, I have never seen something more ridiculous. These people don’t know what to invent to look smart. Lot’s and lots of people do the SUP Yoga where we live here in Australia. It is on my list to conquer ..one of these days. Well done you, and will look forward to reading about how you go with these. This is a truly great list. I’d love to do SUP yoga! I’m surprised I’ve not seen it offered in the states yet. Thanks for including me Paula. I’m sure readers will find something here! Thanks for being a part of this Penny. I do yoga on the ground and am yet to graduate to SUP yoga, but I want to. 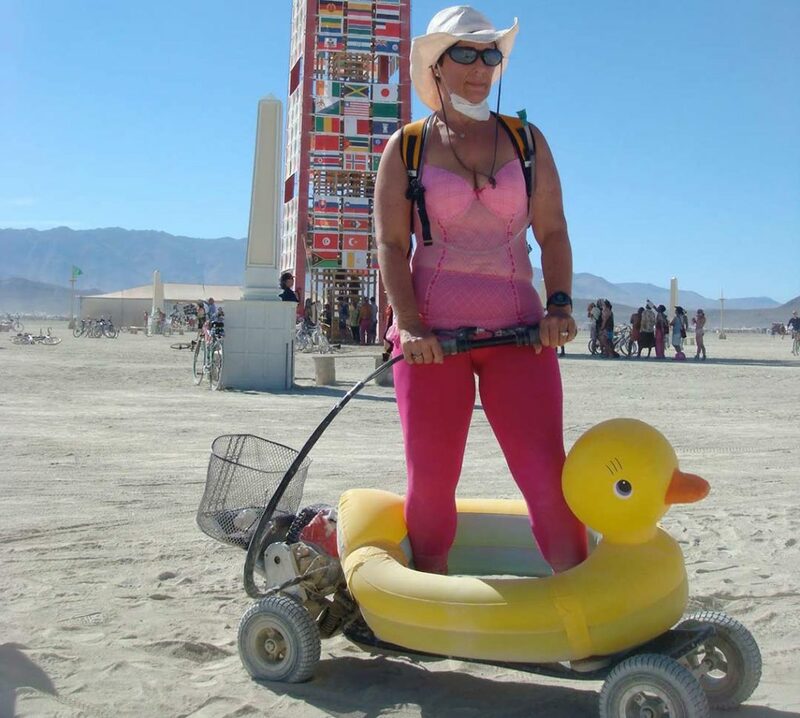 Burning Man – WOULD LOVE TO! Laughing at yoga on Sup boards, I fell off the paddleboard three times without doing yoga! This is a great post, so many reasons to head back to the Americas. Thanks for featuring us. Come to Australia, everyone does SUP yoga here, though I would probably fall off. I like the tamer things too. Walking is my favourite, next to skiing, but so many of these look so much fun. We had some amazing contributions and we were so happy to have the different adventures across Asia, Oceania, Africa, Europe as well as the Americas. I am really enjoying your series. I wish I was a bit more adventuresome so I could have participated. Although I have been snorkelling, diving, kayaking and I have been walking in Stanley Park.